Asheville is a wonderful city, and you should have the freedom to discover beautiful places like The Biltmore without wincing at muscle twinges, aches and pains. 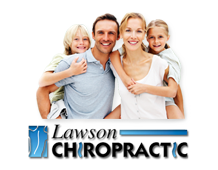 At Lawson Chiropractic, we welcome our patients in with the warmth of Asheville, treating them with the care and precision they deserve and helping them align not only their spine, but their attitudes towards health and wellness as well. Our modern diagnostic and treatment options complement a patient-focused practice dedicated to helping you feel your best. We're proud to be a hardworking and highly recommended office among Asheville chiropractors, with friends, family and partners recommending us once they experience the "Lawson Chiropractic Difference." Why Should I visit Lawson Chiropractic in Asheville? From your very first visit, you'll understand why our patients are such fans of our practice. We use state-of-the-art digital x-ray facility to pinpoint your pain or musculoskeletal weakness issues, enabling our chiropractic staff to provide treatment catered to your problem and severity level. You won't find a one size fits all approach in our treatment rooms - we understand that each body's internal structure is as unique as the person supporting it, and strive to deliver the best results possible in every patient's case. Our ultimate goal is health, safety and comfort in both our patients and community - you may have even spotted our team at complementary chiropractic screening events around Asheville! Can Chiropractic Treatment Help With My Pain? Absolutely! Through a combination of care, including assessment using our digital x-rays, physical examination by our team, manual spinal manipulation and correction, nutritional advice and exercises, many instances - even severe cases - of back, leg and neck pain can be treated without surgery or medication. At our Asheville chiropractic office, we're happy to treat the source of your pain and discomfort no matter how long you've been struggling with an injury, whether it's a car accident last year or an old sports injury from a decade ago. Even if you've never experienced a traumatic injury, regular chiropractic care can help safeguard your flexibility and spinal alignment, improving everything from posture to digestion. At Lawson Chiropractic we treat a range of conditions including back pain, neck pain, fibromyalgia, plantar fasciitis, sciatica, whiplash, vertigo, scoliosis, arthritis, carpal tunnel, shin splints, bursitis, knee pain, and much more. What if I Have Questions About Chiropractic Care? Ask away! We're always happy to discuss your concerns and answer any questions you may have about chiropractic care in general or your particular needs. If you've never had chiropractic care before, it's completely understandable that you might have questions about what to expect during your first visit. You're welcome to review our "What to Expect" page on this site or call our office to speak to one of our friendly care team members before you stop by the office. Remember: you don't have to live with your pain and discomfort any longer than you already have. If you're on the fence about looking into Asheville Chiropractors, let our office help you make up your mind. Call us at 828-274-8880 to schedule your first appointment with us today. We can't wait for you to join the Lawson Chiropractic family!